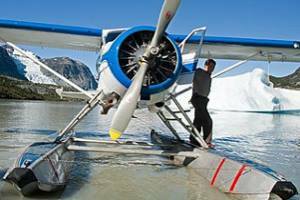 Book a float plane, fly to the Chilcotin and experience beautiful British Columbia and an outdoor adventure that you will never forget. Stewart’s Lodge at Nimpo Lake has been featured by tourism and travel reporters. 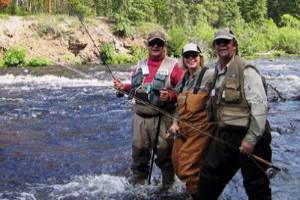 Established in 1953, Stewart’s Lodge provides accommodations for back country adventures. 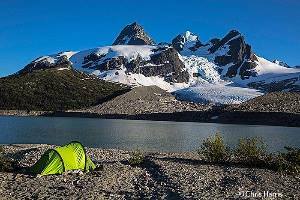 Wilderness fishing, canoeing, hiking and flightseeing in the heart of the Chilcotin country. Your holdiay package includes rustic log cabins with first class provisions, linens, cooking facilities, boats, motors, fuel and life jackets. Travel by float plane and catch WILD rainbow trout up to 5 pounds! FISH A DIFFERENT LAKE OR STREAM EVERY DAY… the stillwaters, rivers and creeks are so numerous in the West Chilcotin that anglers can fish to their hearts’ content and never have to cast over the same water twice! 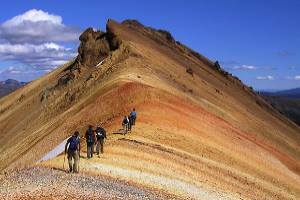 The range and diversity of paddling adventures available in the West Chilcotin are too numerous to mention, so we are pointing you to our favourites. We know these stillwaters and streams will soon become favourites of yours. Check ’em out. Our multi-day Adventure Packages are popular but if you are traveling Highway 20, we have cabins available for travelers overnight stays starting at $150 per night. See details below. 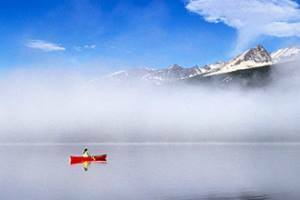 Wilderness fishing, canoeing, hiking and flightseeing in the heart of the Chilcotin country. Your holdiay package includes rustic log cabins with first class provisions, linens, cooking facilities, boats, motors, fuel and life jackets. Tweedsmuir Air Services operates May to October from our floatbase on Nimpo Lake, British Columbia. Our ‘flightdeck’ is immediately adjacent the floatbase in the main lodge building. Arriving by land? Please check in at the ‘flightdeck’. 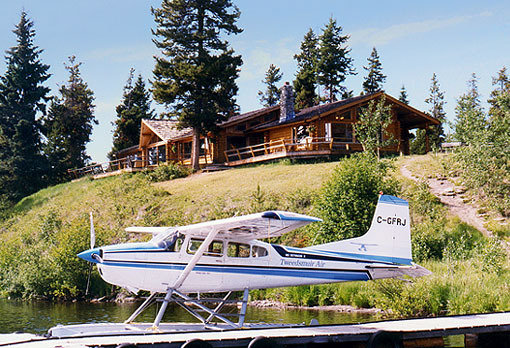 If you are arriving via floatplane, you will be greeted dockside to be checked in. Ask us to schedule Tweedsmuir Air for same day or multi West Chilcotion Adventure Tours. Our selection of fishing boats and kayaks and canoes can be rented by the day at Nimpo Lake but are included in our adventure tours and packages. Only have one day? Ask us about Tweedsmuir Air services and you can use our boats at remote lakes and fly back to Nimpo Lake in the same day! While staying at Stewarts Lodge, enjoy our licensed dining for our guests and get the latest Nimpo Lake area news. These same culinary experts prepare your daily meals for the Fly-in / Fly-out adventure trips. SINCE 1953, THE STEWART FAMILY has been serving outdoor enthusiasts from their main lodge on beautiful Nimpo Lake in British Columbia, Canada. Whether it’s opening dates on the Upper Dean or Blackwater rivers, choosing one of over 25 inaccessible lakes to fish for the day, casting spoons or monster flies for trophy Dolly Varden char, flying by the spectacular Hunlen Falls in Tweedsmuir Park or sampling the delicious smoked trout, be assured, you are with experienced outfitters. We have so many options and activities available at Stewart’s Lodge, that no two trips will ever be the same. With countless places to fish, numerous outback Log Cabins to stay in, and hiking trails galore, you can rest assured; Your trip will be as unique as you are. Contact us today to book your custom Chilcotin Adventure. You won’t regret it.